ICO is still one of my favorite soundtracks, despite the fact it only has about four real songs in it. The beautifully named album, Castle in the Mist, records the short but sweet soundtrack where melody punctuates darkness and discord, making it all the more treasured. 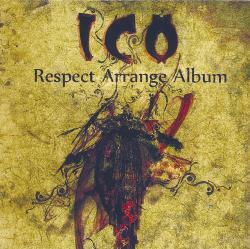 A group of Japanese composers also found the soundtrack and game worth praising through the arrange album Strawhat -ICO Respect Arrange Album. The CD contains mostly electronica, with a little dance music, but it does contain a few outstanding pieces such as “Misty Wish -Hope in the Castle” by doujin mixer wata (MOTHER +LOVE, We Love Retro Kirby!). Like most doujin, it is out of print, sold only at the Comic Market in August 2007 in Tokyo (a major convention of comic book artists, indy game designers, and composers). The album was published by Straw Hat. “Misty Wish” opens pleasantly enough, with minimal instrumentation reflecting the original version, but with a unique sound through a wooden xylophone that reminds me a little of Legend of Zelda: Ocarina of Time. The track then adds an enchanting flute at nearly a minute in with a melody that seems ancient. The combination of instruments and archaic construct of the melody make it a piece that seems to occur outside of space and time, in a land of mist and fairy tale. The layering of all the instruments – xylophone, guitar, and tambourine, along with a nice piano solo at 2:00 – produces a rich tapestry, one that has a kind of granularity similar to that of the Baiyeux Tapestry but also an aesthetic that conjures dreams. In the final section, there is a call and response between flute and violin that sounds almost as if it is a conversation between Ico and Yorda, the game’s two protagonists who must work together to escape the castle. The original version of the song, “Castle in the Mist,” is played on two guitars by Michiru Oshima (Taikou Rishiden, Fullmetal Alchemist) and Pentagon (Legaia, Beatmania). The melody and instrument selection makes the piece feel like a Medieval lay, a song from a place so terribly distant in both time and space, enshrouded by mists. Third and probably last installment from Shadow of the Colossus. “Swift Horse” is fairly different from the other tracks in that it lacks the ominous size, discord, and intense fighting of the other pieces and is instead driven by string and trumpets. The track is actually not used in the game (at least not the NTSC version) but does appear on the time trial screen in the Japanese version. It is an illustrative piece for Agro, demonstrating his free spirit, nobility, and strength in battle – along with an indication of his fate in the closing notes. The driving strings and trumpets match the rhythm of the horse’s gallop. 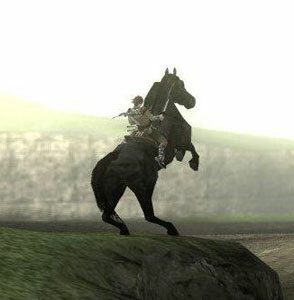 Incidentally, there are a few remixes for Shadow of the Colossus floating out there, including this one for “Swift Horse”. The track actually seems to work pretty well as a guitar piece, especially because the original has such smooth progression – though it lacks the variety of instrumentation in the original (especially those bells). The game’s epic soundtrack seems to translate pretty well to guitar. There is also a guitar mix of “The Open Way” by the same guy. You can read more reviews of individual songs off this FAQ. It is very difficult to define an entire game by a single song, so I am always looking for chances to show more than one song from a game – which is a little different than simply showing a series of interesting songs. 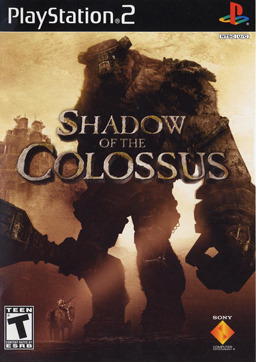 Shadow of the Colossus (2005) falls in both categories – a game that I would love to show multiple songs from because one song simply cannot capture the entirety of the game, but one that contains several songs that play well on their own. The soundtrack is very exotic, containing interesting combinations of strings, percussion, brass, harp, fagotto (a kind of bassoon), and choral which ultimately create a cross between medieval and fantasy – I would love to know what Kow Otani’s influences are. You really cannot mark the style as being anything other than native to the world of Ico. The album with the Japanese title Wander and the Colossus ~Roar of the Earth~ is marked with a series of battle tracks as well as interludes that serve to break up the action – so not only is the album aesthetically pleasing, but it is also well arranged. Though one of the battle themes such as “The Opened Way” might serve to better illustrate the bulk of the game, “The Farthest Land” is my favorite piece. 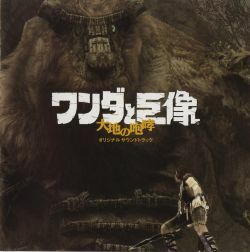 It serves as a kind of intermission – or more accurately, an overture for the second half of the album and an illustration of the spirit behind the game (the colossi, while central to the game, are not the entirety of it). I think I love the track the most because of its beautiful melancholy, its recalling of a distant land, a legend, and a young man with hopes and dreams that are not quite fulfilled the way he desires. The chimes, tambourine, and flute give the piece a dreamlike, magical quality, a kind of lullaby, while the echoes of (what I think is) a dulcimer send the emotions of the piece across the desert to peoples distant both geographically and temporally. It’s simply an amazing piece. Interestingly, “The Farthest Land” plays twice on the album, first halfway through, and again at the end as a reprise. Shadow of the Colossus happens to be my favorite game (even though I’ve played it only once; I think I’m about due for a second play-through!). This is due to the emotions of playing it, the beauty of the world, and the richness of the battles. Other excellent songs from the album are “A Swift Horse”, “In Awe of the Power”, and “A Despair-Filled Fairwell”. Each song sounds very different from the last, creating a rich tapestry for the entire album. Kow Otani (sometimes spelled Kow Ohtani), has composed music for both games and anime (notably Outlaw Star). One of his earliest compositions was the interesting hybrid shooter Philsoma (1995), a launch title for the PS1 and fairly difficult to locate.